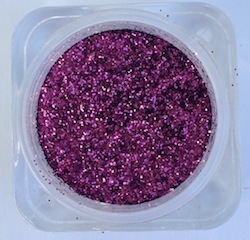 A gorgeous shade of fuscia metallic sparkle! Safe for the eyes. 100% cosmetic grade glitter.